Set in a fascinating world of technologically advanced civilization, FPP adventure game, in which the aim is to find the lost queen. Many puzzles await players during the exploration. An incredibly popular action RPG developed by Blizzard Entertainment. The story of Diablo is set in a fantasy world called Sanctuary, a realm facing a great danger. The Lord of Terror, imprisoned in a magical soul stone, tries to break free. The demon managed to dominate the minds of bishop Lazarus and king Leoric as well as raise an army of creatures that threatens the citizens of Tristram. The brave prince Aidan steps up to fight the forces of evil. The gameplay of Diablo combines action game with an RPG. 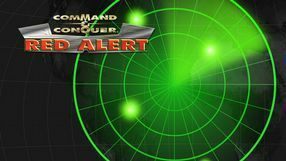 Its essence is exciting real-time combat against hordes of enemies. 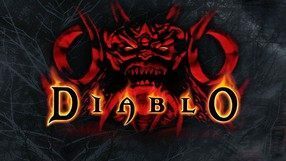 Apart from a single player campaign, Diablo also offers a multiplayer mode via the Internet for a maximum of 4 players. Digital reissue of the fourth game about the adventures of the nice mutant Crash. Unlike the previous parts of the cycle, which were three-dimensional platforms, this time we are dealing with crazy go-kart races. Crash's and Dr. Cortex's teams stand for a big tournament organized by the best rally driver in the universe - Nitrous Oxide. Skradanka set in feudal Japan with a touch of fantasy. 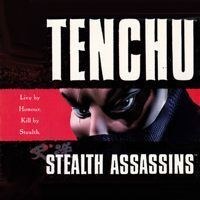 The production offers ten different missions in which the player takes on the role of a warrior or ninja warrior and, by means of various equipment such as rope launchers or shurikens, tries to silently infiltrate locations and eliminate selected targets. Before each task it is possible to choose the equipment that will be taken on the mission, but failure makes the equipment forfeited and should be retrieved from scratch. Three-dimensional platformer filled with various agility challenges. The main character is the title crocodile, which sets out to rescue abducted friends. The game is designed for younger users. The continuation of the enthusiastically-received RTS title from the Westwood Studios company. 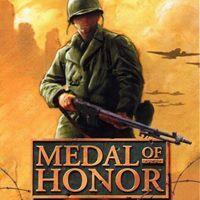 In contrast to the purely fictional storyline of its predecessor, this time the developers have decided to provide the players with an alternative version of reality, in which Stalin decides to “liberate” the world from the hands of imperialists and subjugate it to Soviet authority. After we declare our allegiance we can either assault the West under the red banner or fight in the ranks of the Allies and try to withstand the Soviet onslaught. This decision will have huge impact on our gameplay experience, as both factions have completely unique types of units and armaments, which also results in slightly different playstyles and strategies. The arsenal of doomsday devices which we have at our disposal has also been made much more realistic in comparison to the production’s archetype; however, there is no shortage of various weapon prototypes, such as the Tesla coil which electrocutes nearby enemies. Each of the campaigns consists of fourteen diversified missions, while those looking for an even greater challenge can try their strength in the multiplayer mode. The fourth installment of the popular series of fights and, at the same time, the first, in which the clashes take place in three-dimensional arenas. The title has retained all the elements characteristic of the cycle, including brutal finishers on defeated enemies. Alladyn Zemsta Nazira is a three-dimensional platformer based on the license of a popular series of animated films. Players take on the role of Alladin, whose friends were kidnapped by the cunning Nazira. In order to save Princess Jasmina and Sultan, the protagonist must work for a witch trying to resurrect his brother, the sorcerer Jafar. The fourth installment in the famous series of racing games started in 1995 by Electronic Arts. 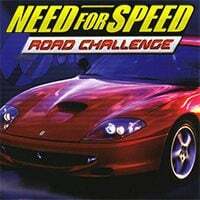 Need for Speed: Road Challenge (also known as Need for Speed: High Stakes) expands the best ideas of its predecessors. It offers 18 licensed vehicles from the world's most famous brands and 20 varied tracks that contain traffic, jams and police patrols. The game features several different race modes, including the Hot Pursuit Mode introduced in the third game, in which the player can act as a cop and drive a police car. In comparison to the previous installments in the series, the game features improved visuals and AI of the drivers. Changing weather conditions and realistic destruction model were added. The latter is reflected both in visual damage of cars and in reduced performance of vehicles. For the first time in the series a simple economy was added that allows the player to repair and upgrade the vehicles. Alone in the Dark: The New Nightmare is a classic survival-horror. We play one of two different characters (Edward Carnby and Aline Cedrac). During the game we solve not too complicated puzzles, and we fight spectacular duels with terrifying creatures. The third installment of the cult series of three-dimensional fights. 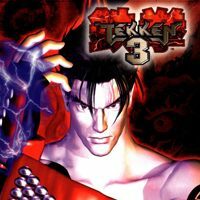 The action of Tekken 3 takes place a dozen or so years after its predecessor, which served as a pretext for exchanging a large part of playable characters. The production introduced a lot of changes to the gameplay mechanisms, putting a bigger aspect on rolling fights in full three-dimensional and limiting the height of jumps. The second installment of the video game series following the adventures of Harry Potter based on the books written by J.K. Rowling. Young wizard, who is about to start his second year at Hogwarts, is bound to encounter new challenges. The seventh installment of the extremely popular series of Japanese RPG games created by Square Enix. The production became famous as one of the most cult parts of the cycle, offering a heart-gripping story and many solutions adopted later permanently into the genre. The title tells the story of Cloud Strife and a group of his friends fighting against the powerful Shinra corporation. The first adventure game based on the best-selling novel written by J.K. Rowling about a young wizard – Harry Potter. The main protagonist is trying to develop his magical potential in Hogwarts, School of Witchcraft and Wizardry. Continuation of a very warmly acclaimed racing game, focusing on a realistic representation of vehicle behaviour on the track. 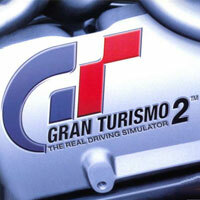 Gran Turismo 2 does not make drastic changes to the way cars behave on the track. Instead, the developers focused on a significant expansion of the content, increasing the pool of available vehicles to more than six hundred and twenty-seven tracks. Continuation of the 1999 hit. 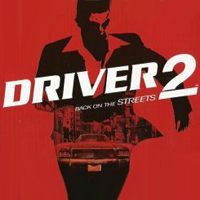 This is an action game set in the open world of cars, in which the player takes on the role of a policeman acting under the cover. The missions focus mainly on impressive chases or the shortest possible route from A to B. A novelty in relation to the first part of the cycle is to allow the main hero to leave the vehicle he controls. A racing game developed by the Pioneer Productions studio in cooperation with Electronic Arts. The game offers eight licensed racing cars, including Dodge Viper, Porsche 911, Chevrolet Corvette, Mazda RX-7, Toyota Supra, Honda NSX, Lamborghini Diablo, and Ferrari Testarossa. The game features seven racing tracks - both traffic and police can be encountered when racing. Once the police spots the player breaking the law, they begin a pursuit. Although the driving physics are realistic (the differences between front and rear wheel drive were implemented for example), the cars the player drives cannot be damaged. The game offers several different camera perspectives, including interior view, with faithfully represented car dashboards. One of the game's strong points is the multiplicity of photos and videos depicting the cars' real life counterparts in action. The second in a series of adventure games in which the heroes are adventurers. This time the plot of the title refers to the motif of demonic powers and ancient civilizations from Central America. 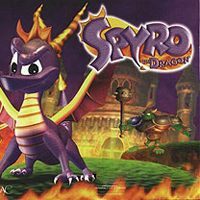 The first installment of the famous 3D platformer series, in which the main character is the comforting purple dragon Spyro. The production was exclusively released on PlayStation 1. A racing game that puts a lot of emphasis on realistic recreation of the behavior of cars while driving. The production offers almost 150 cars of such brands as Honda, Mazda, Subaru or Mitsubishi. 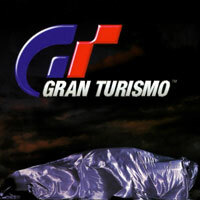 The main mode of play is Gran Turismo Mode, in which subsequent wins are rewarded with credits for which the player can buy new cars and tuning parts. In order to gain access to the next eleven track competition, you first need to obtain specific licenses by performing a number of challenges. The second installment in the best-selling survival horror action-adventure game series. Similarly to the original installment, the game has been developed by the Japanese studio Capcom. The action of Resident Evil 2 is set after the events shown in the first installment – nearly all citizens of Raccoon City have been infected by a mysterious virus, which changed them into bloodthirsty zombies. Once again, the player gets to control two characters – this time around it's Leon, a young police officer and Claire, a journalist. Their task is to save Raccoon City from complete destruction and stop the virus before it spreads all over the world. In Resident Evil 2, gameplay revolves around exploration and solving environmental puzzles – another important aspect of the game is fighting numerous foes using a wide range of weapons, limited by scarce amounts of ammunition. As befits an installment in the Resident Evil series, in order to survive and escape consecutive dangers, the player has to carefully manage the supplies they acquire on their adventure. 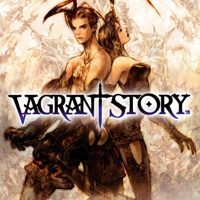 Recognized as one of the most outstanding RPGs released on PlayStation, Vagrant Story abandons the assumptions typical of the Japanese genre. In terms of assumptions and presentation of the action, the title resembles a third-person action game. 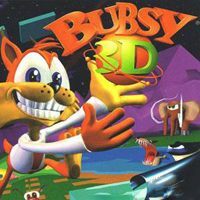 One of the first 3D platformers released on the market. The title tells the story of an anthropomorphic lynx that tries to get out of the foreign world and return to Earth.